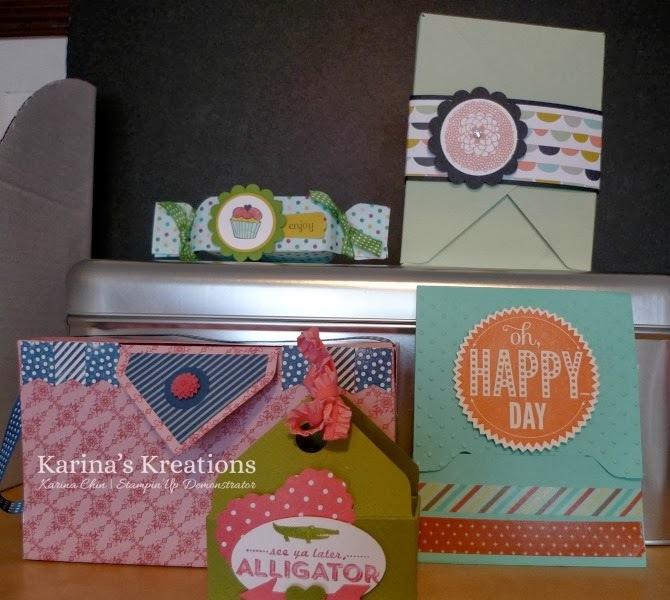 Karina's Kreations: Envelope Punch Board Class is Coming! Envelope Punch Board Class is Coming! Did you buy the envelope punch board and now it's sitting collecting dust? Pull it out and come to my fun class on Wednesday Feb 19. I have three times 9:00-11:00, 12:30-2:30 or 6:30-8:30. 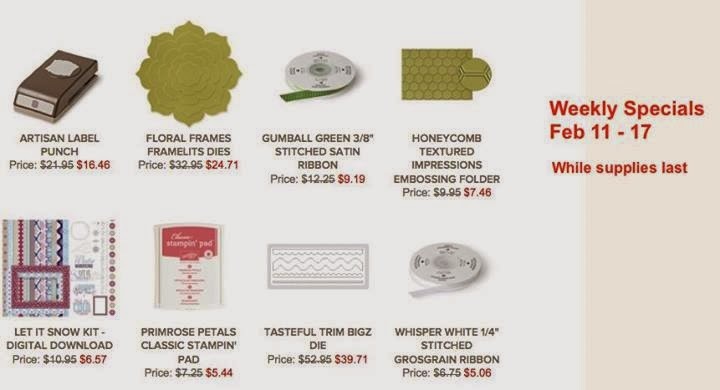 The cost is a minimum $35.00 order and we're making 5 projects. My favourite is the clutch purse and you'll get to choose your Designer Series Paper for your purse. If you can't come to the class, grab a five friends and I'll run a private class for you. Check out these deals of the week.